Can Your Local Ads Build Themselves? Brands with highly variable product sets, frequent promotional campaigns and legal disclaimers that vary by state, region or product have a tough time getting local ads to market quickly. Creating hundreds of versions of ads to accommodate all the variables within a vast Partner Marketing network can lead to exorbitant agency fees and costly delays. Yet, to achieve and maintain a competitive edge, Brands need to get to customized local ads in market faster without breaking already-stretched marketing budgets. 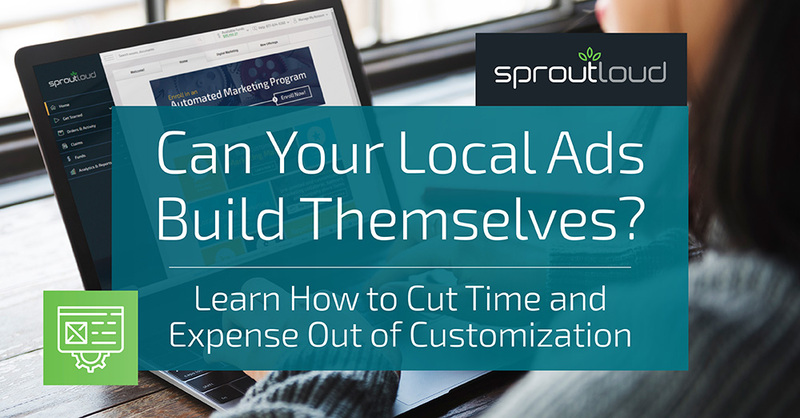 Today, Data-driven Customization is a game-changer in local ad building and customization. It’s an innovation in Channel Marketing Automation that makes customization faster and easier, while giving Brands cost-savings and greater control over compliance and messaging. Brands can save money on agency fees and administrative work, because the entire ad building process is automated on a Channel Marketing Automation Platform. By using Data-driven Customization, Brands can increase the speed to market on local ads and ensure Brand compliance, accuracy, consistency in messaging and expert execution. Updating legal disclaimers, store information, products, pricing, images — or any type of variable content in Brand advertising for local markets — no longer has to be labor intensive or time-consuming for Brands or their Partners. Data-driven Customization can be done in minutes instead of hours or days — even when ad changes are unique to every region, state or store within your Partner network. Brands specify customization options and guidelines. SproutLoud handles the ad builder heavy-lifting by building dynamic templates according to the parameters set by the Brand. Partners can access only those templates the Brand makes available to them on the SproutLoud Platform. With a few mouse clicks, Partners select from Brand-compliant menu options to customize their own local ads. Then, localized ads are sent directly to world-class Marketing Service Providers, already integrated in the SproutLoud Platform, for flawless execution. The result: Customized Brand-compliant ads get in local markets faster. This gives your Brand the advantage of responding to changing market conditions in real time. Don’t be fooled by other platforms that say they can handle this type of customization — most cannot. 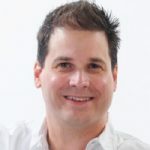 They may show you how the end user can customize an ad, but they often fail at bringing in the automation that lets you deploy at scale and in real-time. The Brand sends an updated data file to SproutLoud. Changes are auto-populated instantly across hundreds of templates. Within minutes, those updated templates — with revised customization options — are ready for Partners to use. For one major insurance provider, SproutLoud recently decreased the total volume of templates they needed by over 65%, going from over 750 sku templates to under 200. This made it easier for the end user because it cut out the clutter, while saving the Brand thousands of dollars and increasing speed to market. 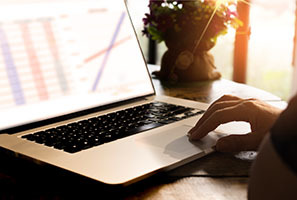 Many Brands use Data-driven Customization to change featured products, images, descriptions and pricing information and switch out expiring promotional offers. All this can be done while allowing for multiple variances within the same network, including geographic locations or Partner tiers (Gold, Silver and Bronze). SproutLoud can generate new templates for Brands on the Platform on a weekly or even daily basis, which is particularly valuable for industries where change is constant. For example, in the Cruise industry — where images, itineraries and descriptions can change depending on inventory available on the ship, destinations or ports of call — the ability to quickly change information within the ad templates for travel agents on a regular basis is essential. Data-driven Customization gives Brands ultimate control over every aspect of Local Marketing. It increases speed to market by dramatically reducing the time it takes to create, launch and update templates, and it virtually eliminates the possibility of human error. When all the available ad building template options are already Brand-compliant, there’s no need for a Brand approval process — and that can save Brands and their Partners hundreds of hours of administrative work every year. With Data-driven Customization, Partners can finally spend less time on marketing and more time on what matters most: closing sales. 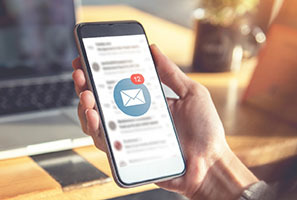 How Timing Your Message Influences the Customer Journey If intervening in the Customer Journey isn't an essential part of your Local Marketing Strategy, you're missing opportunities to dramatically impact sales. 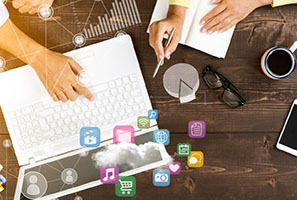 Why Display Ads Are Essential to Your Local Marketing Strategy Display Ads give your business visibility and exposure among current and potential customers, even when they aren't looking for you. Pieter Brown leads a team of highly skilled and creative Production Designers. He brings over 25 years of printing experience to SproutLoud. That experience has given him the tools and knowledge to come up with creative ways to meet our clients variable data template needs. Pieter was awarded SproutLoud’s Innovator of the Year Award in 2013.